Not sure how your business will be impacted, or even where to start? 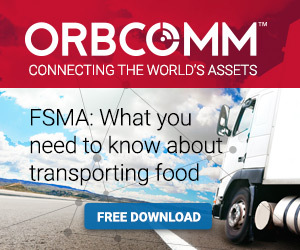 ORBCOMM has put together the Who, What, Why and When for FSMA as it pertains to transporting food, on the all new FSMAready.com. You can also download the Simplified Guide to the Food Safety Modernization Act: What You Need to Know About Transporting Food. Visit the new website today to download the guide, learn how to comply, and pick up other FSMA-related articles and resources. You can also sign up to receive future FSMA checklists and other resources via email as we make them available.